Hamza Carpets is an authorized dealer of Nayyar Carpets. 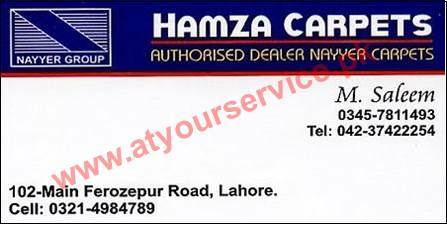 Hamza Carpets is located on Main Ferozepur Road, Lahore. It deals in all kind of carpets. It is an authorized dealer of Nayyar Carpets.